You might be thinking that getting a loan with no credit is nearly impossible. You know that big credit institutions, such as banks, will give you a hard time applying for a loan. But there are still several alternatives for getting a loan with no credit besides banks. You can find loans up to $40,000 and APR ranging from 5.99% to 36%. We from Elite Personal Finance will show you the best options for your no credit status and how to get the right loan for you. When you have no credit, you are vulnerable to predatory lenders! We highly recommend that you avoid: Payday Loans; Auto Title Loans; Loans that post offers like: no credit no problem, fast money: not a problem. The loan market is much more flexible these days and there are many options for people with no credit history or low credit to get a personal loan on reliable rates. In this guide we will work with you to help you get personal loan with no credit. Below we list some companies who are big names personal loan to people with no credit. Loans made through Upgrade feature APRs of 6.99%-35.97%. All loans have a 1% to 6% origination fee, which is deducted from the loan proceeds. Lowest rates require Autopay. For example, if you receive a $10,000 loan with a 36 month term and a 17.98% APR (which includes a 14.32% yearly interest rate and a 5% one-time origination fee), you would receive $9,500 in your bank account and would have a required monthly payment of $343.33. Over the life of the loan, your payments would total $12,359.97. The APR on your loan may be higher or lower and your loan offers may not have multiple term lengths available. Actual rate depends on credit score, credit usage history, loan term and other factors. Late payments or subsequent charges and fees may increase the cost of your fixed rate loan. There is no fee or penalty for repaying a loan early. Accept your loan offer and your funds will be sent to your bank via ACH within one (1) business day of clearing necessary verifications. Availability of the funds is dependent on how quickly your bank processes this transaction. From the time of approval, funds should be available within four (4) business days. All loans made by WebBank, member FDIC. What Do Lenders Think When You Have No Credit? No credit means different things to different lenders! When you have no credit that means you have nothing on your credit report. It does not express if you are a good or bad borrower, because you never borrowed money before in the past years. In that case, the lenders can’t be sure if you will be able to pay for your promises, considering you a risky borrower. 5 Questions That Lenders Will Ask. This might be a simple question but remember that the amount of money that you want is very different the amount that you need. The lender will be really focused to understand clearly how much do you need. 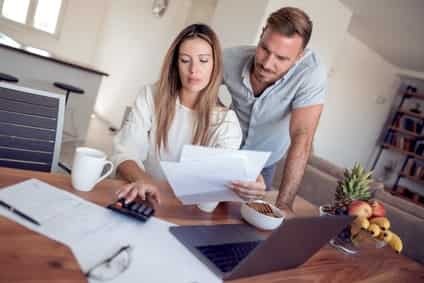 One key factor to be considered is your debt-to-income ratio, which represents the percentage of your income compromised to pay your monthly bills. To calculate it, you will divide your monthly income by the sum of your monthly bills. For example, if you have a $2,500 income and $800 of bills each month, your debt to income will be 32% (800 divided by 2,500). Usually for personal loans, individuals with a debt-to-income above 40% are considered riskier; however, below 20% would be an excellent candidate. How does your credit report look like? Eventually, you will tell them that you have no credit score. Remember, this is not the end of the line; you’ll just have to show the lender in different ways that you are a trustworthy borrower. Length of time in current residence. To borrow money to repair your car, holiday expenses or to buy a new TV is not a good deal from the creditor’s point of view because there is no actually Return Over Investment (ROI) for the lender. The institutions are looking to put their money on borrowers that will actually bring more capital back in the future with the lowest risk possible. For example, it’s way better to ask for a loan to improve your own house, expand your education or anything that might bring you some return in the future, instead of asking for an auto repair. 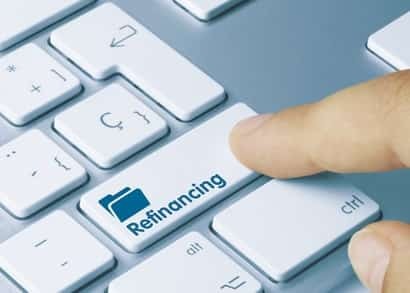 Of course, your income will play the biggest role in repaying your debt, but the creditor is looking for other alternatives that will bring more assurance to your repayment. Such as collaterals, savings, and assets. This is considered your liquidity factor, which explains what items from your financial situation you can convert into cash to pay for the loan. Can you put up any collateral? Collaterals are items (such as house or auto) that you pledge to the credit institution in case you are not able to pay your debt. To sign a collateral, will also help to lower your APR for the loan because there is a guarantee that the debt will be repaid. When you have no credit, you are vulnerable to predatory lenders. Those lenders offer you money with great options making the offer too good to be turned down. However, you should be careful with “too accessible” lenders, because there might be huge APRs or unfair terms that they did not tell you about, bringing you into a debt cycle. Legit lenders will always get some evaluation of your background and repayment risk. That’s why we brought you some key concepts before applying for any loan. Be aware of interest rates. Interest rate represents the amount charged of the principal (loan), in percentage. In other words, it is the cost of debt by using someone else’s money or asset. The interest rate will tell the lender how risky the lending is. For example, if you are a low-risk borrower, the interest rate will go down. However, if you’re a high-risk borrower, the interest rate goes higher because the lender is not so sure if you’ll be able to repay your debt. Every time you’re looking for a loan, get deep into the details of the interest rates. There are several factors that influence your interest rates and they will vary between lenders and loan types. Besides the interest rates, you will also have to pay for the loan fees. The fees are any percentage charged for borrowed money that is not included in the interest rate. The most common fees are application fees, administration fees, origination fees, closing annual fees, funding fees, late fees, overdraft fees, NSF fees, and early repayment fees. The fees will vary depending on the type of loan and institution, so do some research to get into deeper details. You have the right to know all the fees involved in any loan. Ask your lender and always make sure you understand all of them clearly. Finally, when you sum up the interest rates and the loan fees, you will get the total cost of your loan, most commonly known as the Annual Percentage Rate (APR). With that information, you are able to know if you can afford the loan by subtracting it from your income. If your budget gets too tight, be aware and start to think about other alternatives. Just like any personal financing tip, organization will always be essential when dealing with loans. Make sure to not miss payments or getting a loan by impulse. Planning and close tracking your finances will be your best friends in this journey. The lending market Is flexible. Although you do not have a credit history, you still have many options out there. The lending market is very flexible and you don’t have to limit yourself to banks. Next, we will cover the loans for no credit people, such as Peer-to-peer lending, payday loans, personal loans, and co-signer. Options To Get a Loan With No Credit. Credit Unions are institutions that offer loans and credit lines with good fees and rates. These are members-owned institutions focused on helping other people with similar characteristics such as religion, work industry, living area or organizations’ membership.In fact, credit unions are a great accessible choice compared to other traditional institutions like banks. More attention received as a customer. Savings offerings might be limited. You cannot join any union you want. Banks are the most traditional financial institutions available. They are regulated by a central bank or government with strict laws and deeply connected to the country’s economy. More options for credit lines. 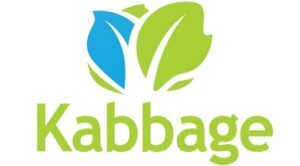 Low or no interest rates for savings. A wide range of fees. Instead of borrowing money from banks and credit institutions, in peer-to-peer (P2P) lending you borrow money from someone else.This is a great alternative because individual lenders get higher rates compared to institutions and borrowers get lower rates. Lower interest rates compared to banks. Lenders can’t contact you directly, you remain anonymous. If you have no credit, interest rates are higher. Missed payments will hit your credit score really bad. When to use P2P lending: Short-term loans, debt consolidation, and home improvement. Personal loans are usually personal, household or family related. Their term may vary from 2 to 5 years with APRs from 7% to 36%.It’s not as aggressive as payday loans but the purpose is usually the same.Personal loans are secured or unsecured. Secured loans are backed by a collateral (car or home) which means that if you’re not able to pay for the loan, the lender will take the asset. Different from unsecured loans, where there is no asset-backed up to the lender, but they can take legal actions to get the capital back.Taking into account that you don’t have a credit history, you’re able to apply for a personal loan by providing specific information to the lenders, such as income, affordability, employment history, and identity check. Unsecured loans will present high-interest rates. Good credit is usually an important factor for lower rates. When to use personal loans: debt consolidation (be careful to not start a debt cycle! ); family related emergencies; home improvement; pay credit card debt with higher interest rates. In co-signing loans, someone else takes responsibility to repay the loan. In the lender’s perspective, the lending process is less risky and consequently, you might have better rates and terms.The primary borrower is responsible for making the payments on time, if he’s unable or defaulted the payment, the co-signer takes the responsibility. He may be contacted as soon as the default or it may be other terms related to his contract.The co-signer is usually someone with good credit, low debt-to-income ratio and high credit score. The residence should be the same as the primary borrower depending on the co-sign type. You can get the loan with no or low credit. You have to find reliable person to guarantee for you. If you can’t repay the loan on time you risk the relationship with this person. When to use cosigned loans: When your parents or family member is willing to help you build credit or to get a student loan. Payday alternative loans (or PALs) are short-term and unsecured loans. These are usually issued with small amounts and their main characteristic is to protect borrowers from the debt cycle. Bad and no credit is OK. Focused on borrowers’ income and ability to repay. Lower APR than payday loans. Higher amount that payday loans. Much more flexible than payday loans. High fees might be applicable. Higher APR than personal loans, from 36% to 400%. Some experts comment them close to predatory. When to use alternative payday loans: When your last options are predatory payday loans or auto title loans, these can be of help. What Can I Do If I Still Can’t Get Approved for A Loan? Shop Around! There is no better way to get approved for a loan than by comparing offers from different companies. There are so many legitimate personal loans that interpred no credit different. Lower The Amount! Apply with less money that you request. Get a secured personal loan, co-signer loan. This put more trust in lenders they are willing to give you more money and lower APR. Avoid loans. We have a great article giving you tips on how to avoid getting a loan. Start Working on Your Credit Score Now! Building a credit score is a slow process, but that does not mean that you don’t have to start this today!!! You will start finding more lucrative options in time. With great credit score you save so much. Read this article from FTC.gov on how to avoid payday loans. Reconsider You Application and try to discuss the ability to repay the loan with your lender. At the end every lender care to get his money and your ability to pay them on time. Offers Like: No Credit – No Problems; Fast Money – Get Today! When you have no credit, you are vulnerable to predatory lenders! No credit is better than bad credit. Because the lending market is much more flexible these days, you can find many options.